I am in love with this cover. I love the colors. I love the raven. I love everything about it. THERE ARE FAIRIES!!! 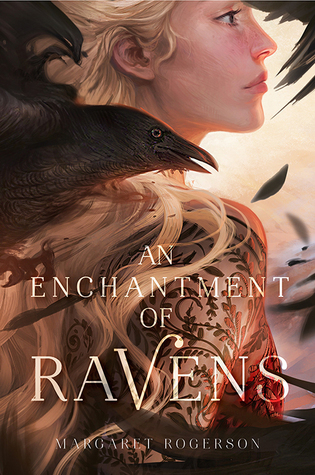 I have not read an amazing fae story in a long time…and you guys, I NEED THIS BOOK AND STORY AND CHARACTERS IN MY LIFE. The synopsis sounds intriguing, dangerous, magical, and nail-biting. I have a feeling that this book is going to be words woven into the most beautiful fabric that I cannot wait to wrap myself in. PLEASE FOR THE LOVE OF THE FAIR FOLK, I NEED THIS BOOK ASAP. First off, if you love Morgan Matson’s past books, you will definitely add The Unexpected Everything to your favorites list. Matson once again creates a contemporary world rattled with familial problems, tested friendships, swoony and smart boys, and summer plans gone awry. The main character, Andie, is not the most likable character, but her development throughout the novel shows great maturity. 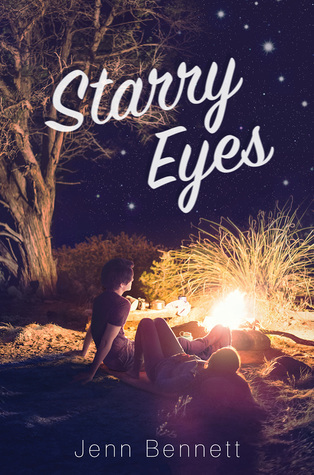 A lot of characters consume this book, making the story a bit confusing and overpowering with drama, but overall each character brings their own spin and flair to the story, and they all help shape Andie’s unforgettable summer. Andie is the daughter of a widowed congressman; she is organized, ambitious, and always has a plan. She has her summer internship set up and she’s single, so no one can get in the way of her goals. However, after her dad is caught in the middle of an investigated scandal, Andie’s plans get put on the back burner and she has to learn to “go with the flow.” Even though Andie is very high-strung, I love that she takes initiative to make the most of her summer instead of wallowing in self-pity. Throughout the novel, Andie does not have the best communication skills when it comes to talking to her father and her friends, and this always seems to lead to more problems. When communication problems go astray in the book, frustration is ensued. The lack of communication is a huge conflict that is stretched throughout the novel, and it is not just Andie dealing with it. Even one of her friends, who is obsessed with emojis, starts to feel the pressure of how communication is a key factor in making friendships and relationships work. Luckily, Andie meets Clark who is shy, but also has an innate gift of bringing people together through storytelling. In regards to my absolute favorite “rave” of The Unexpected Everything, I can definitely admit that Clark is by far my favorite character in the book. First off, his “geeky” shirts are “punny” and fantastic. And not to give too much away about him, but I love that he is going through a George R.R. Martin writing phase. Clark is smart, awkward, funny, and so adorable (those dimples!!!). He is definitely the perfect person to balance Andie’s strict, planned out life. Additionally, my fellow Matson book-lovers, characters from Since You’ve Been Gone make small cameos in The Unexpected Everything…it’s brief but some of our favorite characters are there and it’s blissful and wonderful (EEEEeee!!!)! Overall, The Unexpected Everything is 528 pages of frustration AND adoration. It definitely has its great moments: Clark, Bertie’s shenanigans, and a big group scavenger hunt, to name a few. This book is unquestionably the perfect read to start off your summer with. 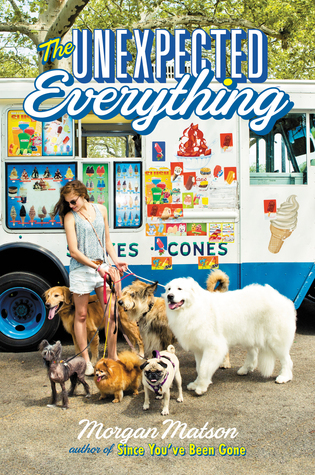 So prepare yourself for some teenage angst, leaked secrets, fluffy dogs, and a story about an unanticipated summer filled with humorous surprises. NOTE: Thank you to Simon & Schuster for providing me an e-galley/e-ARC of this book for an honest review. All statements and opinions are mine.